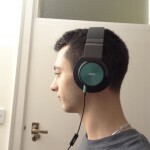 First of all I would like Sam, from AKG’s PR agency, for sending these out to review to me! 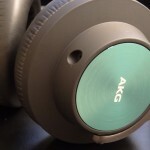 The AKG K545’s can be bought on Amazon UK & AmazonUSA, and other resellers worldwide. The review will be conducted at the £230 price tag, even though they can be bought at around £200 from certain places. 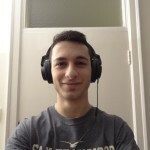 I was very lucky in receiving the AKG K545’s after being selected as an AKG Insider before the IFA 2013 event in Berlin. The K545’s allude greatly to the K551’s I had previously reviewed and thus in this review I will be alluding back to the K551 review with comparisons and thoughts to its younger brother. 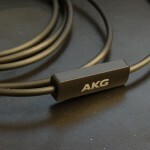 The AKG K545 is seen as a revision model that arrived, in order to address some issues the K550/K551’s had. 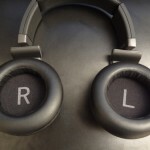 Now let’s get unto the full written review of these headphones! 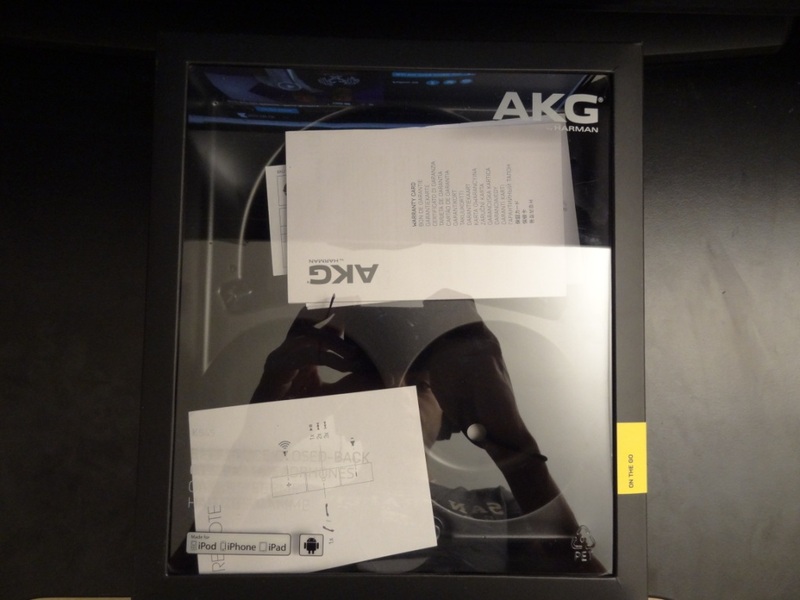 The packaging that comes with the AKG K545’s is discrete unlike its younger brother the K551’s which was excessively heavy packaging. It is nice to see that AKG thought about resellers here and people carrying boxes from their shopping sprees in the high streets. My impressions of the K551’s was very disappointing thus I was expecting the worst with the K545’s, however the K545’s really did deliver this time round, although it wasn’t perfect it was a vast improvement. The K545’s come with a 1/4″ adapter in the box and they also come with not one, but two detachable wires for the K545’s to use (more on the wires in the build quality section). It was nice to see AKG addressing the issue of the mics not working on Android and thus including an Android cable alongside the iPhone one gets a big thumbs up from me. With that said, I found it a little disappointing not to find a simple pouch, something I had also mentioned in my K551 review. A simple pouch, that costs less than £2 on eBay would do fine. The pouch isn’t there to protect the headphones from bumps and falls, but instead is there to prevent food, keys or even a tiny bit of water effecting the headphones. 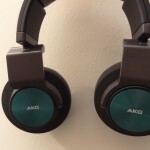 It isn’t had to include and is definitely something I was looking for in the K545’s, as it is a set of headphones that can be taken on-the-go with its rotating drivers. 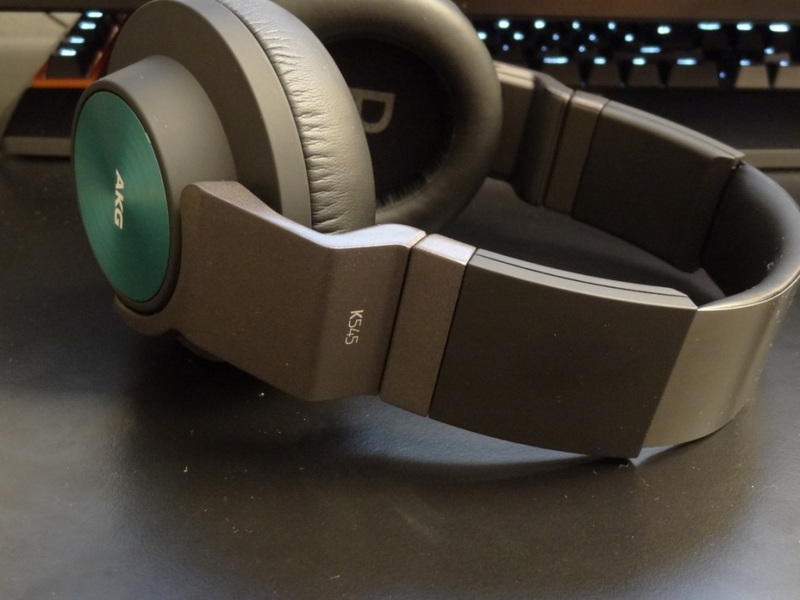 My first impressions of the headphones were very positive, I had already noticed an improvement over the previous K551’s and was very intrigued to see how the headphone did in other aspects, such as its sound quality. 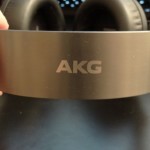 The build quality of the AKG K551’s was outstanding. I was thus expecting something similar type of outcome with the K545’s and wasn’t disappointed. The build quality, in my opinion improved, mainly due to the cable design now being removable. One of my main complaints of the K551 was the wire being non-detachable and also being very thin. I could understand the thinness of the wire, due to portability but the fact that it was non-detachable made it very worrying for its longevity. When I opened the K545’s box I was very happy to find those detachable wires included, which really do make a whole lot of difference. Due to them being removable it gives the headphones a longer life span and more so allows that flexibility of going from an Android device to an iDevice without any problems. I think this was an excellent move by AKG. With that said, the wire is still very thin, but due to the nature of the headphone, being portable, it makes sense to have a thin wire over a bulky and long cable, like the one found in the stock Denon AH-D2000’s. The cable is still, unfortunately, terminated by a straight 3.5mm gold plated jack, which would have been nice to see a right angled jack instead. 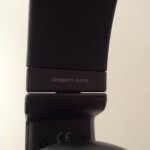 Regarding the rest of the headphone, the build quality is exceptional as it was in the K551’s. The headband is still as versatile and is very flexible and the headband assembly still has a nice clicking feel to it when adjusting it. Furthermore, the material used for the drivers and the pads is excellent. What I love is the big left and right indicators that can be found within the inner lining of the cups, which allows quick distinction of the channels. Finally, with the K545’s coming in a few different finishes, I think the build quality and design of them is absolutely excellent. I read a few posts online, of people complaining about AKG focusing on colours and in all honesty I’m a little baffled about that. AKG did a great job here in providing different blend of colours and more so incorporating that all together in an excellent build. Overall, the build quality is excellent. There were a few points relating to the wire being still a little on the thin side and not being terminated by a right angled jack, but I feel that those are two minor points and shouldn’t really detract the overall rating of the build quality, which otherwise is excellent. 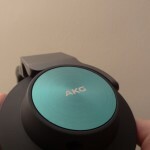 Top mark to AKG for incorporating a nice design in a very well built headphone. The look of the headphones is very sleek. The particular model I got was the black with turquoise finish. I’m not a big fan of the colour, but can appreciate the looks of the headphone and more so the overall attention to detail. The looks of the headphone is thus very nice, I really can’t fault it, especially over the K551’s which looked like gigantic earmuffs on your head, the K545’s feel like a more normal sized headphone, whilst still being 50mm driver. The isolation on these headphones is better than the K551’s but only marginally. I think this came down to the ear pads being different. Even though the pads looked thinner, they felt thicker and felt like they accommodated your ears better. The space that you’re given within the ear pads is thus better and leads to increased comfort. Granted the isolation isn’t perfect, but for close back headphones that are seemingly portable too, I think they delivered quite well. 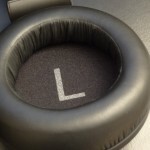 In short, I feel the pads are what made the difference – the material was a little different and thus aided in the overall isolation of the headphones. The comfort was also better and again, due to the pads being different. After pro-longed use I didn’t feel as if the headphone was digging into my ears, with reading glasses on. Instead I could happily wear the headphones for long periods of time. With that said, it wasn’t perfect, as I felt the top of the headband hadn’t changed at all. The headphone did dig into the top of your head after several hours of use. This was a noted point in my K551 review and seems to have remained unchanged in the K545, which left me a little disappointed. With that said, the comfort is better and was very good beforehand, especially due to the lightweight design of the headphones. The sound quality of the K551’s was neutral sounding, with a severe lack of low-end bass. The case wasn’t similar in the K545’s, in fact the bass was very pleasant. Not overpowered or bloated, but instead much better extension in the lows, whilst keeping an excellent mid range response. 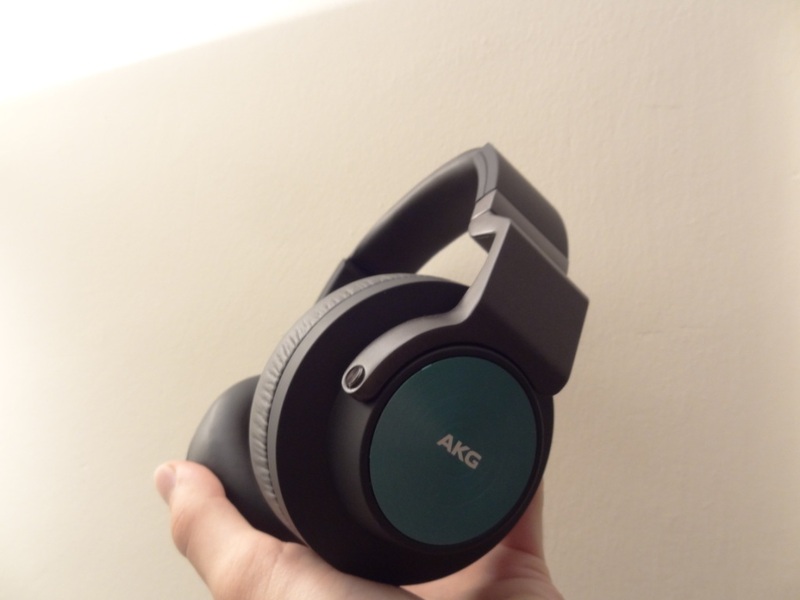 I was very much improved by the sound quality of the K545’s and really felt that it was a step forward for AKG in the sound department, over the previous model. On another note, it was also interesting to see the frequency response of both the K551’s and the K545’s. 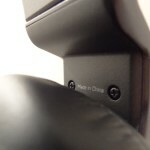 Something I normally don’t pay attention to, as objective data (especially ones coming from a manufacturer) is not often translated as what a user will hear, but in this case, the K545’s looked in-line with what AKG had stated on their website, especially when compared to the K551’s range. As you’ll be able to read the K551’s seem to not go as low as the K545’s, but yet extend more in the high frequencies. After reading the frequency range, I felt that my opinion was much better justified of the K545’s abilities to drive more bass, but also lose that little bit of sparkle in the high frequencies. It thus matched my subjective opinion of the headphones quite well. The bass as expressed above was much more impressive. I know a lot of people might be worried about the bass being overwhelming, but this isn’t the case. I don’t only rate a decent punch, but also a decent extension. 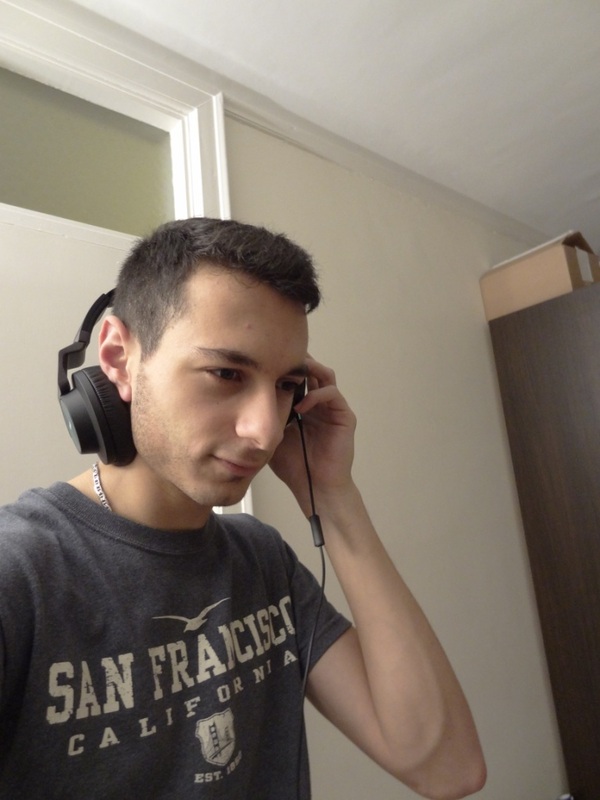 The K551’s didn’t extend at all, despite having a nice clean and crisp mid-bass, their sub-bass was non-existent and thus got a low 4/10 rating. With the K545’s on the other hand, it was a whole different ball game. The K545’s extended extremely well; granted not as well as my Denon D2K’s or the Sony XB700’s, but still very well for headphones that seem completely bass light at first listen. I usually push the abilities of a headphone’s capability for bass via my little DigiZoid ZO2 amp, which introduces a huge amount of low end rumble at no real expense of the mid range frequencies (unlike other amps out there in the market which do). The K545’s were reactive and very much responsive to the changes I made in the low end, whereas the K551’s were sitting there saying: “I’m having non of that”. 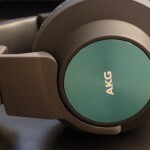 Thus it was great to see AKG address this concern that I had and open these headphones up to a larger market. 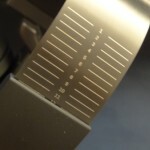 I say this, because previously if someone that enjoyed listening to low-end bass would ask me: “Would you recommend the K551’s?” I would reply with a straight and simple: “No, they’re not designed for bass” – whereas now, with the K545’s being able to get that low end rumble, it can now appeal to a lot more people, like myself. As you can read the mids were identical to the K551’s and I was expecting a big hit in the mids, due to the improved bass response they know boasted. However, that couldn’t be said for the highs, as again they did felt a little rolled off. Just like with the K551’s, they didn’t really sparkle nor give a lasting impression. Furthermore the K545’s were even more rolled off and this was later confirmed by looking at its frequency range, which was less capable in the high frequencies. 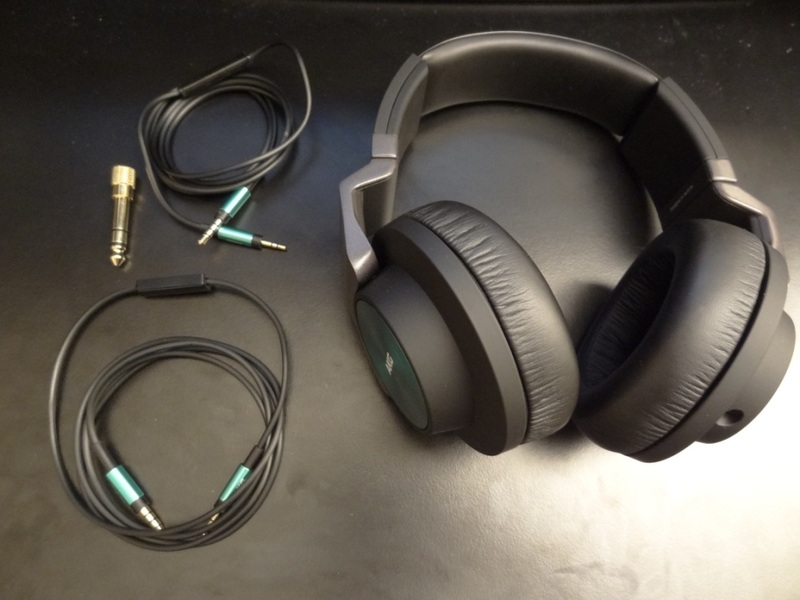 The soundstage of the K551’s was surprising for a set of closed-back headphones, where I thought they were open-back headphones. The K545’s didn’t give me that same feeling, although close to the same feeling, it wasn’t quite identical. The K551’s gave me a sense of greater space, whereas the K545’s didn’t give me that seamless space that I found in their younger brothers. With that said, the soundstage was still incredible for a set of closed back headphones, but not as good as they were. The sound imaging and percussions were still phenomenally pleasing, which was always going to get a big thumbs up from me. Overall, the soundstage was amazing and the reproduction levels were incredibly high. In conclusion, the K545’s are a natural and exceptionally good step-up to the K551’s. I actively recommended the K551’s due to their low price point but incredible sound they could deliver. The K545’s took the K551’s and stepped up the game in a few departments: Comfort, accessories provided, build quality, design, looks and more importantly low end frequency capabilities. With that said, it did drop a little in the high frequencies and the soundstage, but a very minor hit for an extremely huge gain in other departments. 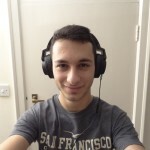 I can’t quite emphasise, how impressed I was with the K551’s and now with the K545’s I’m even more impressed and left with a huge smile on my face when I wear them. As for if they’re worth the extra £100 – well that’s debatable, as with audio, for tiny steps in improvement you’re looking at spending double the amount you initially wanted to spend (ie. having a 3 driver setup in your earphones over a 2 driver one). With that in mind, I do feel the K545’s are very much worth the extra money you put down on the table. The extra £100 gets you quite a lot of things and they’re all very much needed. On that note, I did review these at £230 and within a week, I’m already finding brand-new deals for £200. Sooner or later, I wouldn’t be surprised if these were at £180 or even a little lower. The K551’s come in at £130, thus making it an incredibly small investment to make for much needed extra features added in the K545’s. I personally would pay £230 for these and would find these an absolute steal at £180. They really do well and are excellent sounding headphones, despite them not fitting my musical tastes as well as my Denon AH-D2000’s I still feel the K545’s deserve a full-blown 10/10 rating! 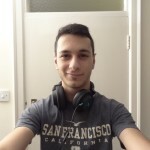 This entry was posted in Audio Reviews and tagged AKG K545; K545, AKG; K551; AKG K551; review; headphones; neutral; smooth; flat on December 20, 2013 by TotallydubbedHD. Hi dude – wrong post to put it under! But no, I don’t have any experience with the Sky Box – if your internet works via wifi and/or LAN, then your skybox SHOULD, in theory work. Hi ! Great review ! Hi there, the normal/android cable works perfectly and flawlessly with a computer, you won’t have any problems! I’m close to the same boat as you! (Except I use the K550 instead of K551) Currently I’m in the process of burning in the k545 cans and I have a question hopefully you can answer… As far as the cable goes, it feels really really thin compared to the k550 which packs a nice rubbery thickness (Studio feeling wires) while the new k545 feels like tissue paper in my hands. Do you think a cable upgrade would do anything for the sound or would it just be an aesthetic preference? 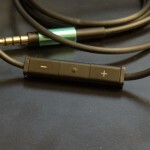 Thinking of moving to Fiio’s 2.5mm to 3.5mm cable. Any input would be awesome! Cheers! FYI I am going to use the k545 for portability and possibly more bassy style music and the k550 for classical connected to a Fiio x3 w/ or w/o E12 amp depending on music. Yeah, the K545 shares practically the same cable as the K551 (unlike the K550 which was made for home use with its thicker cable). Is it worth upgrading the cables? In all honesty, no. I think if you do, you’ll end up spending a lot of money for no real reason. 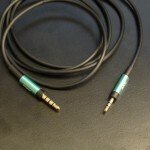 Cables DO MAKE a slight difference in sound (due to their resistance, material and you could go as far as interference in very rare cases) – but end of the day only get a custom made cable if you want to TWEAK the sound. 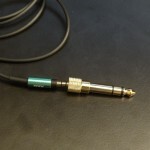 I don’t personally think the K545 would benefit from any custom cable – I think it would just bring out the highs too much and make them sibilant. So stick with the cable you got – especially for portable use and if that ever breaks, then consider buying a custom cable for it :)! Nice setup – you’ve gone pro AKG! First of all great thorough review! But there’s one piece of information I was missing. What is the quality of the microphone included? Can it be used with windows PC for skype calls etc? Did you hear anything like ATH MSr7, Sony 1A, V moda M100, DT770 Pro 32Ohm, ATH M50x, these kind of more common headphone? In Hong Kong, I can try these but can’t find the 545 now. Very interested to see how would you compare any of these with 545. 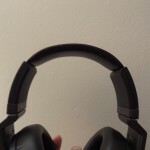 I tried an unknown model (H7 or H8 I believe) and do not find that lack of bass (as you reviewed H6) did you try that kind of wireless headphone of B&O? they share the same sound property with H6? Actually I am selecting my next over ear headphone for pop and rock music. Both indoor and outdoor use, like bass and sound stage, to see which one fit the best. Depends on your music taste – most of those headphones you listed are intended for different purposes for different places (home vs on the move). I would say if you like bass and a decent soundstage – it’s between the V moda M100, DT770 Pro and ATH M50x. You’ll have to ask around to see which is the best for your music though. Thanks a lot with a quick reply!! I tried M100, even I like bass but really that is too much for me. Also it sounds to me not enough sound stage and clarity. In the Opposite, I owned DT770 pro 32 ohm for couple months, good sound stage but the bass is too “far way” and light. That is why I really interested to know how K545 perform in these 2 fields while comparing with these. use both in and outdoor. I think you’ll be disappointing with the K545s then buddy – not for you! It’ll be to thin, light, far away and precise. It’s not boomy like the Vmoda, nor is it too far away like the DTs, but it still wont be enough for your taste. Maybe the M50x’s will be the perfect match!